FEBRUARY, FRIDAY THE 13th, 1970 marked the beginning of a band which would Revolutionize and change music forever. Now in the New Millennium, a new force has risen. Formed on October 31st, 1997 by SAB-HEAD PETE, SABBATH BLOODY SABBATH began taking the Northern California /San Francisco Bay Area by Storm. Headlining and playing in front of packed theatres and clubs, SABBATH BLOODY SABBATH soon earned the title "SONS OF SABBATH, THE WORLD'S GREATEST BLACK SABBATH TRIBUTE BAND". SABBATH BLOODY SABBATH is based out of San Francisco, Ca. From its Costumes and Stage show to its equipment and perfect note for note performance, no detail of Ozzy and Dio Black Sabbath is overlooked. SABBATH BLOODY SABBATH represents the ENTIRE history of BLACK SABBATH and Ozzy Osbourne Solo. It encompasses the best qualities and attributes of all the different eras of Black Sabbath and Ozzy Solo. Each musician replicates the sound and image of each member of Black Sabbath. 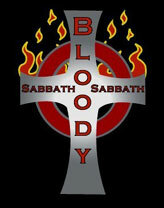 Essentially, SABBATH BLOODY SABBATH is a recreation or better yet "reincarnation" of BLACK SABBATH in its primal state. SBS's goal is to tour the world honoring the legacy of Black Sabbath and continuing its greatness. 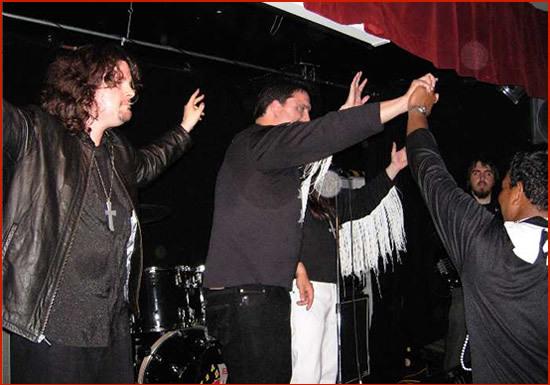 SBS is a MUST SEE for not only die hard Black Sabbath fans but also for fans that want to recapture the intimate atmosphere of a Classic Black Sabbath show. Seeing a SBS show is to witness a super group of young, talented, up and coming musicians recreating and representing Black Sabbath in its prime. SBS encompasses and delivers the best qualities of the entire history of Black Sabbath and Ozzy Solo. We'll see you at the shows.